Heat therapy has been proven to provide many therapeutic benefits such as: increased blood flow, relaxation of tendons and muscles, relief from stiffness and inflammation as well as a reduction in the sensation of pain. Wheat bags are a great product to provide heat relief as wheat has excellent insulation qualities, meaning that it can absorb and distribute heat evenly and effectively. 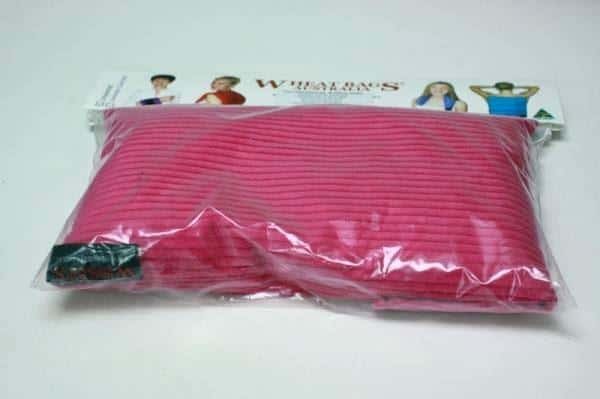 Wheat bags are able to mould to the contour of the area being treated and are available in a variety of different shapes and sizes for use on different areas of the body. The fabric covers allow for direct application to the skin as well as providing a non irritating feel. Wheat bags are available to purchase from any of Core Physio’s 9 Adelaide locations.